Home / Dental Implants / Dental Implants Problems & Complications: What Can Go Wrong? Dental implant surgery is a modern alternative and long-term success to dentures, denture cream (and potential zinc poisoning), and bridges. Instead of replacing natural teeth with “fake” teeth, implants replace the tooth roots and serve as a strong foundation for new permanent or removable dentures. They are custom-made to match a patient’s natural teeth, so not only do they require less maintenance than dentures, they look and feel more natural. In addition to these advantages, many patients find their self-esteem is improved with dental implants. Their smile feels natural and they don’t have all the worries of dentures or bridges. Unfortunately, even with all these advantages, dental implants are not perfect, nor are they right for every patient. Installing implants is a surgical procedure that comes with all the risks of any other type of dental surgery. It’s also possible that patients will suffer dental implant failure can malfunction or just not work out as planned. Before you opt for dental implants, it’s important to understand your risks and weigh them against the benefits of implants. What do you need to know? Anytime you undergo surgery or introduce something new to your body there’s a chance your body will have a negative response. In some cases, that response is triggered by an infection. If bacteria is present around the implant, it can interfere with the metal implant not integrating with your bone, which means your implant will never “take.” And even fusion has occurred, an infection might still arise and cause the bond between the implant and your bone to break. You can reduce your risk for infection with proper oral hygiene and by alerting your dentist to signs of any problems as soon as possible. Before choosing implants, it’s important to speak to your dentist and/or oral surgeon about your “dental behaviors” because these things can put your implant at risk. For instance, if you tend to clench or grind your teeth, the force puts ongoing pressure on the implant which can cause it to fracture. 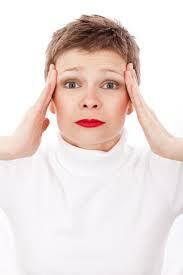 The same is true if the implant is placed incorrectly and in a way that causes undue stress or pressure. Implants must be replaced after a fracture, which means you’ll need to undergo the entire placement process again. In addition to fracturing and infection, it’s also possible for there to be issues with the healing process following implant placement. Your body might reject the bone graft or if blood supply to the area is lacking, it can affect the implants ability to adhere to the bone. And it’s always possible for a patient to experience secondary issues during or after a surgical procedure, such as a reaction to anesthesia or pain medication. Another potential complication has to do with the aesthetics of the implant. It’s possible the appearance of the gum tissue surrounding the implant will be damaged or just not look as it should. If the metal components of the implant are visible, you’ll need a gum graft to improve the appearance of your smile. This is sometimes the case when a patient has severe gum disease prior to the implant placement. It is possible that nerve damage can occur either during the placement process or before or after placement. Nerve damage can cause a variety of issues and for some, their dental implant will need to be completely removed in order to repair the damage. 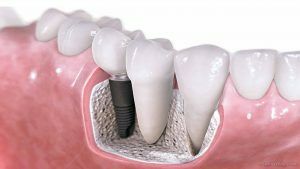 How are Dental Implant Complications Treated? In many cases, the only way to fix implant complications is to completely replace the implant. The problems that caused the failure will be addressed and an entirely new implant will be installed. 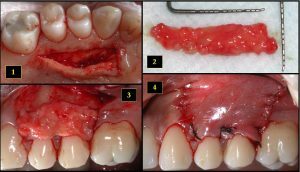 Bone grafts are used to repair loss of bone and gum grafts are used to replace any missing gum tissue. 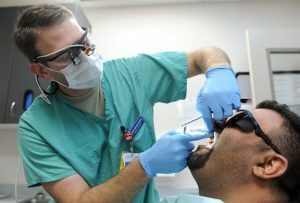 For some, dental implants won’t be an option. In these cases, the implant will be removed and replaced with dentures or a bridge. Often, this is the case when someone experiences gradual bone loss following a problem with a dental implant, such as improper placement of the implant. There just won’t be enough bone to create a sturdy implant. What Increases a Person’s Risk for Dental Implant Complications? Improper placement or other issues with treatment planning: This includes misusing implants, choosing implants when another option would be better, and placing the implant improperly. 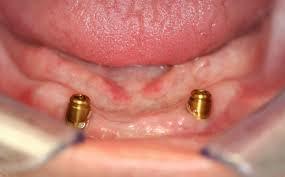 Smoking: anyone who is considering dental implants should quit smoking. 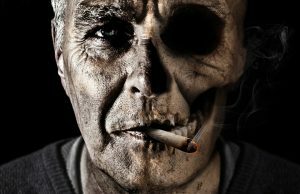 If you have been a smoker, make sure your dentist knows so can address any issues. Health: the overall health of the implant recipient plays a major role in the success of implant placement. Make sure you discuss your overall health—not just your dental health—with your dentist and dental surgeon. Resolving an issue with dental implants is easier when you take quick action and report problems to your dentist. You’ll experience some pain, swelling, and bruising following the implant procedure, which is normal. If you’re experiencing pain or any other problem with your implants, or you’re faced with any dental emergency, we can help. We provide access to dental care 24/7 because there’s no way to predict when a dental emergency will occur. Use our contact form or call us toll-free at the number provided for more information.